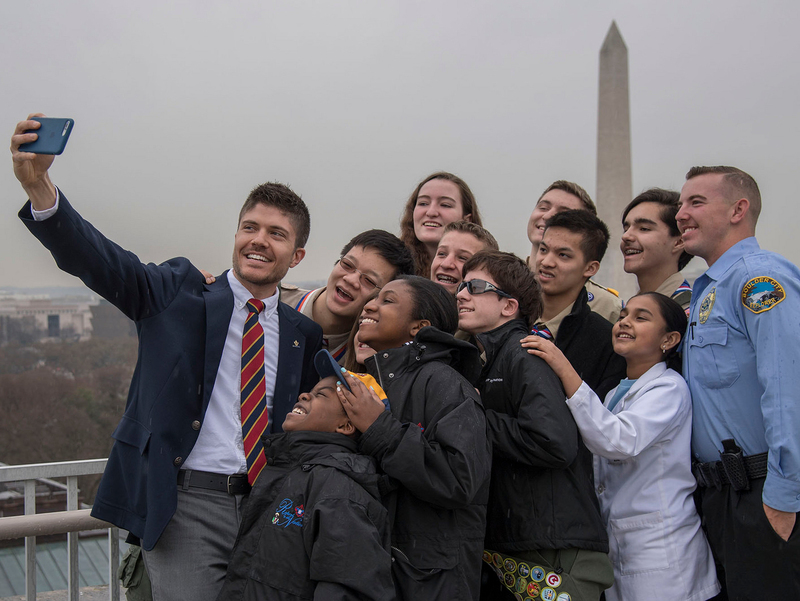 Ten New York Scouts and Explorers have joined a prestigious list that includes Nelson Mandela, Bradley Cooper, Phil Mickelson, Miss Piggy and Darth Vader. All have rung the Opening Bell on the New York Stock Exchange. On Wednesday, the Scouts and Explorers from the BSA’s Greater New York Councils joined the fun. Watch video of the bell-ringing here and see photos below. Meanwhile, there’s no word yet on whether these Scouts were able to fulfill any requirements for the American Business merit badge. Here’s who is in the photo above. Photos courtesy of Valerie Caviness/NYSE.